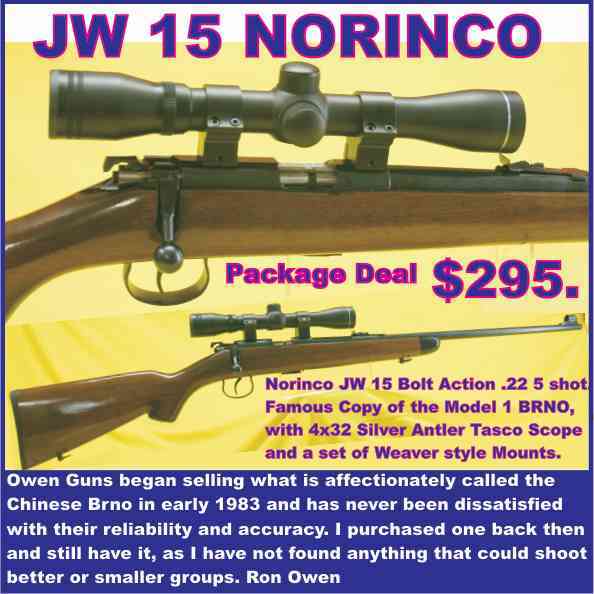 Welcome to the Fifteenth Edition of the Owen Guns Bulletin. 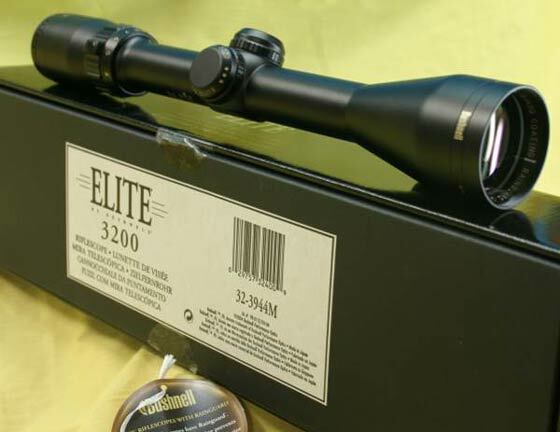 These Japanese Bushnell manufactured rifle scopes made for the big companies in the USA are improving there quality, constantly closing the gaps between them and their Eupropen competitiors. The only thing that seperates most top end scopes these days is the price. 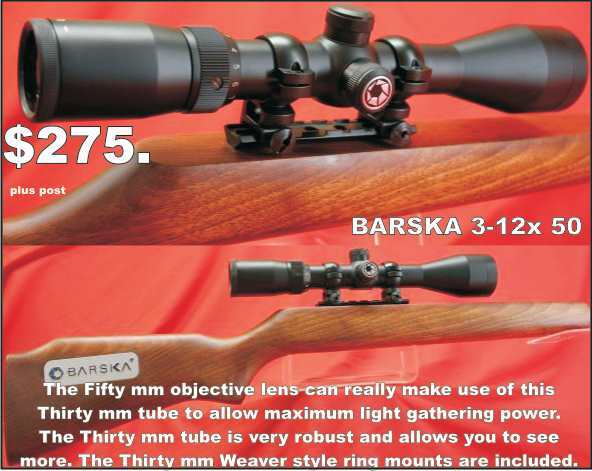 inside its neck as the bullet, and therefore the outside of the neck of the case is considerably larger in diameter than the diameter of the bullet or than the bore or groove diameter of the barrel. In addition the body of the case is often made of still greater diameter to hold the desired powder charge . Therefore the bore of the barrel, originally drilled and reamed to a stated diameter, must be enlarged or reamed out at the breech to contain and fit the cartridge or shell. This enlarged portion is termed the chamber. The exact shape and dimensions of the chamber with respect to the cartridge or shell to be used is extremely important. On these dimensions depend the safety of the shooter, the normal and smooth operation, a long accurate life, and the accuracy potential of the firearm, and these dimensions are one of the factors which determine whether the barrel will be accurate or not. The chamber must be a proper fit for the cartridge. Cartridges of a given caliber and model are never absolutely uniform as to dimensions because it is impossible to make them so when produced in quantity. Therefore ammunition specifications prescribe maximum and minimum dimensions for cartridge case, bullet, and loaded cartridge. The chamber must be of such dimensions that the maximum cartridge will enter it without undue force, it must fire with safe pressure, and the fired case must extract without undue force. Likewise the chamber must not be so large that a minimum cartridge would misfire, or the case rupture, or gas escape to the rear, and the minimum cartridge must give satisfactory accuracy. To give an idea how individual cartridges of the same size may differ, there are some where the differences between maximum and minimum are as much as .004 inch for the outside of the neck of the loaded case, and .009inch for overall length of case. These would seem to be very small variations, but they are all important when working with a gas pressure of over 50,000 pounds per square inch, and particularly with a gas as hot as that generated by smokeless powder. Variations as large as the above will seldom be found, even when examining large batches of cartridges, except perhaps with military cartridges made in great quantities and speed in war, for manufacturers have ideal or standard dimensions to which they try to adhere as closely as possible and with very considerable success, particularly in these days of modern precision machine tools. But the manufacturer who makes his arms for public sale must make them, including the chamber and bore, so that they will be safe and function perfectly with both the maximum and minimum cartridges, because he can never tell when the ultimate user of the arm might fire such a cartridge. The technical rifleman who hand loads his own ammunition can, however, afford to use a chamber with closer dimensions because he can inspect the components which go into his cartridge and throw out all that do not gauge within his established dimensions. A—Barrel shoulder. B—Receiver threads. C—Extractor slot. D—Breech face. E—Chamber (rim) counterbore. F—Chamber. G—Shoulder. H—Neck. I—End of chamber. J—Throat. K—Leade. J and K together are sometimes referred to as the “bullet seat”. As most custom barrels are rifled prior to chambering, and cartridge choice is selected at a later date, leade is usually just a space, (not tapered), for the full diameter of the bullet to sit in. Handloaders for the best result seat the bullets so that there is a very little space, less than .020 or no space at all between the front of the bullet and the commencement of the rifling. This space is called the Leade. 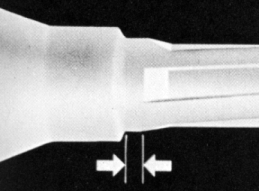 Consideration has to be given for this technique as if there is no gap at all between the bullet and the rifling that could increase internal pressure within the cartridge case so an equivalent decrease in the powder charge should be considered, which would not necessarily decrease velocity in fact due to no space, even with a reduction of the powder charge, the smaller space to fit the gas expansion could still increase pressure and increase velocity. The gun itself can cause greater pressure. This changes with the amount of use the gun has received. A new gun will often cause higher pressure because the tool marks create added friction to the bullet. Gun bores are smoothed with use. Used long enough, the hot gas will erode the bore near the chamber, to produce more freebore. Freebore is the distance the bullet moves before it engages the rifling. A common practice for large capacity cases such as 300 Weatherby is to bore out the rifling ahead of the chamber. This permits the bullet to get a running start before engaging the rifling, which keeps pressure safe. 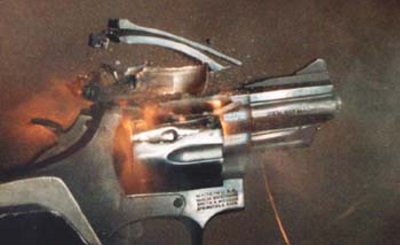 An opposite condition is more likely if the gun has had many high pressure loads through it. The end of the chamber can become heat crazed. Tiny cracks form, which when magnified appear as a dried out mud flat. These cracks cause extra grip on the bullet which in turn requires more pressure to get the bullet moving. This can increase the pressure significantly. Acquire the habit of checking the primer for signs of pressure. It could save your day. Cases that are too long will pinch the bullet and cause excessive pressure. Just because the cartridge easily enters the chamber it does not mean the case is not too long. The clearance created by the crimp allows the case to chamber. However, when the bullet tries to open the case mouth it cannot, because the mouth is beyond the end of the chamber into the start of the bore, which due to the rifling lands is a smaller diameter.Remember Bullets fit the grooves not the bore. Once the brass is pinched by this it increases pressure and makes extraction difficult. Of course accuracy will be non existent and un predictable. Be sure, to always check and trim your cases, if needed for overall length. Next Edition furhter information on Chamber design. Before continuing with the information regarding reloading equipment, up to date we have discussed different types of Reloading Presses, Dies and in edition 14 we began an article pertaining to Scales and the weighing of propellent powder as this areas of handloading has been so sadly neglected and is critically important to accuracy and the shooters safety, it is important that more detail is given on the methods to determine the weight or volume of the powder charge. I mentioned volume as a firearm does not determine its performance by weight, its performance is decided by the volume of the expanding gas and its burning rate after ignition. 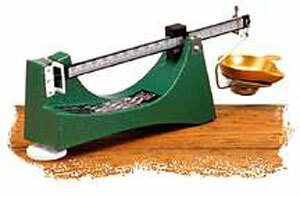 The weight is critical as it is the handloaders only method of determining its measurement. Of course people can make scoops and set powder measures that meter by volume but to do that we have to measure by weight and use scales to determine that weight. To communicate a charge load of powder we have to communicate that information and the only way to do this is by weight. To simple emphasize this, if you purchased a set of powder scoops it should be established what weight and for which powder that scoop was intended. As each an every powder has a different volume for the same weight, or to put it the opposite way, which is still true, the same volume of propellent powder of each different grade of each different manufacture will weigh a different charge. The only uniform unit the handloader can use is weight, he then can use the weight to determine and set scoops or machines, powder measures that measure by volume. Without the scales and weight the handloader has no idea what is going on. Jason Harelle the man behind the counter at Owen Guns has fielded many inquiries from many thousands of reloaders over the years, and asked me to stress what a grain acutely is. He mentioned that some customers were confused and thought that grains were grams and on the opposite end of the scale had a customer who thought that a grain was a single grain of powder and was measuring a grain with a set of very small tweezers and a magnifying glass and counting each individual powder granule as a grain of weight and popping them into his cartridge case. He was disappointed in his results and it took some time to establish where he was going wrong as we all take for granted what we consider old knowledge and the grain counting customer was quite correct to assume that a grain was a grain, even though it isn’t. It shows we need a broader and more in deeper understanding of measurements. Units of measure always seem to have an interesting little story of how they started. A yard was from the king’s nose to the end of his outstretched arm and most certainly a foot must have been equal to the king’s. The ‘Rule of Thumb’ was the old English measurement from Dane Law of the thickness of a stick that a husband could legally beat his wife with. The thumb was also used as the inch measure. I believe that these stories are an effective way of remembering and associating the name to a size of a measure. The grain, as used to measure gunpowder, should not be confused with a granule or kernel of gunpowder. A grain was so named because it was the weight measure equal to a plump grain of wheat. The grain is the same in the avoirdupois troy, and apothecary’s system of weights. Reloaders in all countries of the world use avoirdupois in which 7,000 grains equal one pound. This is part of the English system of weights and measures. A dram is a contraction of the word drachm, pronounced dram Webster’s Dictionary says it is a unit of weight in Apothecaries and Troy and sometimes Avoirdupois. Referring to Machinery’s Hand book, there are 8 drachms to one Apothecaries’ ounce or 480 grains. However there are 16 drachms to one Avoirdupois ounce 437.5 grains. Interestingly, a grain is a grain if you measure in Apothecaries’, Avoirdupois or Troy. The grain is the smallest common denominator of all the above weighing systems but it is the same weight in each one. Of course Napoleon Bonaparte the brilliant dictator emperor of early 18th Century Europe before he met his betters at Waterloo devised the metric system which for all purposes in reloading is useless. Unfortunately people educated since the 1960s in Australia and Europe have been duped. Metric is not the international standard, the largest market in the world is in North America, goods manufactured in Germany, China, India and Japan have to be in compliance with Imperial standards to be sold in North America. Even if Asia becomes the largest market by that time the Imperial system will be so well intrenched the metric system will be forgotten. 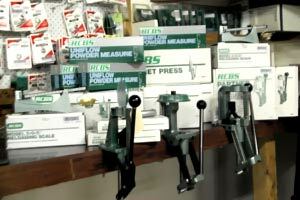 In many fields such as reloading the metric system is unusable so we have to learn others which are better suited. The metric system is a base ten system and makes mathematical calculations very easy, but also makes large mistakes, as people cannot equate them with physical examples, such as thumbs and yards, the are just a decimal point a number and a name, either one can be wrong and its very hard to spot. The scientific community embraced the system because of the huge numbers in most calculations involving chemistry and physics. Many shooters have a small familiarity with the metric system because of its use in certain firearms. A 6mm bullet is .243 in. or 243 caliber. The 7.62 NATO is a 308 Winchester. The 7mm and .284 bullets are identical. Most European cartridges are specified by bullet diameter and case length in millimeters; 7 x 57 Mauser, 8 x 57 Mauser, 7.62 x 39 Russian, 6.5 x 55 Swedish Mauser, are some common examples. A meter is 39.37 inches. There are 100 centimeters to a meter so a centimeter = .3937 inches. There are 1000 millimeters to a meter. Therefore each millimeter =.03937 inch. 39.37? = 1 meter .3937? = 1 centimeter = 1/100 meter .03937? = 1 millimeter = 1/10 centimeter. Remember 39.37 or thirty nine thirty seven. Interestingly, a centimeter does not seem to be nearly as popular a unit as the millimeter or else the 10 mm Auto would be called the 1 centimeter Auto or centimeter Auto. Try the 8 x 57 Mauser as the .8 x 5.7 centimeters or 8 millimeter x 5 centimeters 7 millimeters or .008 x.0057 meters. The interchangeability of its naming method can cause confusion and mistakes. I might be accused of being anti metric, I am just reporting how I have found it, but accept for the few European cartridges listed above that is the extent of 200 years of metric penetration into the firearm industry, 50 million shooters in the USA use the Imperial system. We do not use the Imperial system because of them or what they want, we use it as it is the economical reality they exist and all European firearms, accessories and ammunition manufactures make there product for that market. This idiosyncracies with metrics may make you wonder why a 10 mm bullet is .400 instead of .3937?? For the same reason, a 30 caliber bullet is .308. Remember again, Bullets fit the grooves not the bore. There are 7000 grains to the pound and 437.5 grains to an ounce and don’t bother to count them weigh them with a good set of powder scales in grains. Next Edition futher information on Scales and Weighing Powder. That’s a big word for Ron, what does it really mean? The Oxford Dictionary says to dehumanize, deprive of positive human qualities, the act of degrading people with respect to their best qualities; Quote “Science has been blamed for the dehumanisation of modern society”. Lots of prescribed mind altering drugs desensitize and dehumanise people, many of these such as Prozac, are fed in large quantities to suicide bombers so that they can sit on the buses seconds from death and not perspire or worry about the women and children they are about to maim and kill. 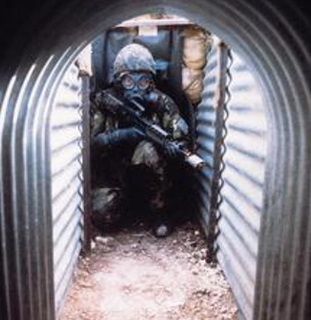 I personally was throughly Dehumanised by experts before I was twenty years old, along with millions of other service personal I was taught, well that word is not strong enough I was destroyed and rebuilt in the image of a Guardsman, a killing automaton, I might have had fear of the enemy but I was petrified of my NCO s. Orders were not to be considered, just carried out, if we said “Yes” or “No” we were immediately put on a charge, the response was either “Sir” or “Sergeant”. The endless hours of bayonet practice, the NCO s screamed, “In” “Out” stop mucking about”. Little ditties, like “Lunge, Plunge, Twist and Out”, if we did not have to scream “One” “Two” “Three” “One” (that was the important timing), at the same time, we could have put music to it. Of course they made us scream to stop us thinking about what they were training us to do. 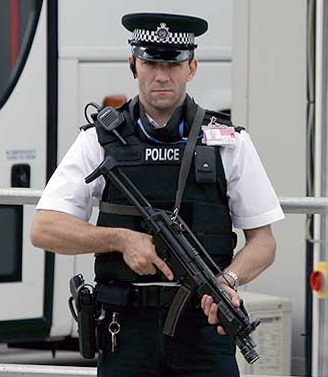 In close quarter combat pistol training it was the same, the scream by the NCO s was, “Hold it up against Something Soft, and pull the trigger”. Marksmanship, hitting targets a remote distance away was another world away, they never wanted us to think that the “Something Soft”, was a person another human being because they were training us to be killers. They did not want us to “think”. Some of that Dehumanisation training became useful, when I inturn trained others in marksmanship. The normal human reaction to being punched with 30 foot /pounds of recoil, with muzzle blast that flattens your hair back to the skull, the instant flash and the pain in your ears, which at each shot causes ear damage. Real men, of course are not supposed let that affect them, of course a few hours on a .50 cal Browning produced a ‘punch drunk’ effect which years later and after a better education I found out was a state of ‘shock’. To desensitise the normal human reaction of ‘Anticipation’ and ‘Flinch’, that’s the before and after the shot is fired, the instructor loads the rifle for the trainee, handing it to the trainee each time, informing the trainee that one of the shots may not go off ’so make particular note as to where the rifle sights are pointing when the rifle goes ‘click’’. Of course after three or four shots the instructor loads the firearm without a round in the chamber, the instructor observes that the trainee closes his eyes each instant the trigger is incorrectly ‘clutched’. The instructor asks where the sights were pointing, the trainee admits he wasn’t looking. 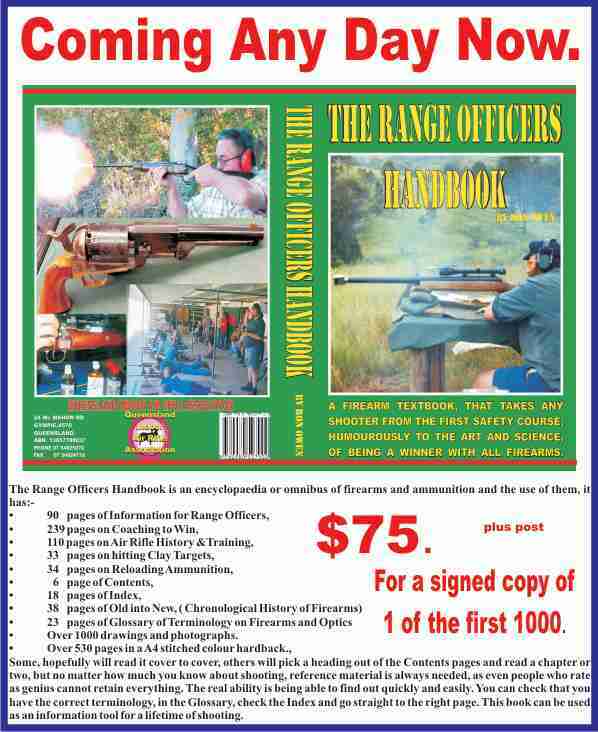 The instruction proceeds the trainee improves his scores, then the instructor passes his another unloaded rifle the trainee goes click. More than likely the trainee will admit, yet not understand why that his sights were pointing below the target, the instructor explains ‘anticipation’ of the recoil and the lesson proceeds with the instructor loading and occasionally not loading until the trainee conquers the technique of not “anticipating’ and not ‘flinching’. Sometime it takes more than one lesson before they progress to more advanced methods of adjusting the mind to consistently keep doing the same thing each time and each time hitting what your aiming at. That I believe is one of the few dehumanising exercises that are positive for people, mind over matter overcoming fears, even if they are very real. Science cannot be blamed for Dehumanising Modern society, that would be as silly to say that Art could be blamed for Dehumanising, as all of the above are implemented by people on other people by choice, its just difficult to see it happening when its happening to yourself. Hitler Dehumanised the German people, or the people who controlled the German people, the British Army, (and I imagine most other Armies in the world) are dehumanised the same way. Of course in the 21st Century we have television and much more sophisticated methods of Dehumanisation, same result, still people not science, but different techniques. Our positive human qualities are degraded by other techniques, such as repetition, and role models that make greed and “the end justifies the means” admirably human traits. Television and Hollywood has made what used to shock us as being reprehensible in the old days of “Dallas” are now normal common place, or ‘good business sense’. What in the latter days of the 20th Century would provoke legislation such as the ‘Fair Trading Act’, Anti Trust Laws, or the Monopolies Act, or the ‘Trade Practices Act’ from parliament as been Dehumanised to be just ‘smart businessmen’ like ‘Microsoft Gates’. Money makes up for all stains of character. Dehumanising is saying “Everyone does it so why not me”, we are taught daily to rationalise on that basis, we are being taught, not to “think” we are dehumanised. In our firearm industry we would think that we have so many external enemies in politics and police forces that it would unify us, but still our greatest enemy is the ‘Enemy Within’ and I don’t just mean the complacency and apathy, I mean leaders of our industry actively working against this industry and against shooter and dealers and there respected associations. 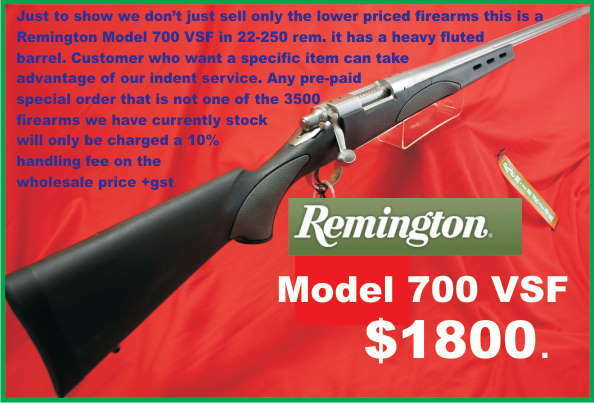 For example a US company has recently devoted an entire web page to exposing an Australian Wholesaler who imports a line of rifle scopes, for over charging and running a monopoly. This US. 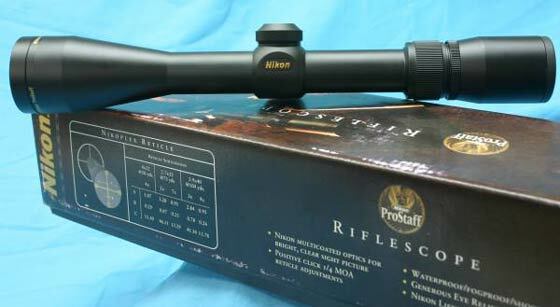 company mailed American scopes to any Australian who did not want to be charged a few hundred extra dollars, as the US manufacturing company was persuaded to have only the one wholesaler in Australia instead of two, one of the prior ones had been the agent and our supplier since the mid 1970s. Of course that powerful Number One Australian Wholesaler used its power and prevented that US Mail order business from being supplied in the USA. 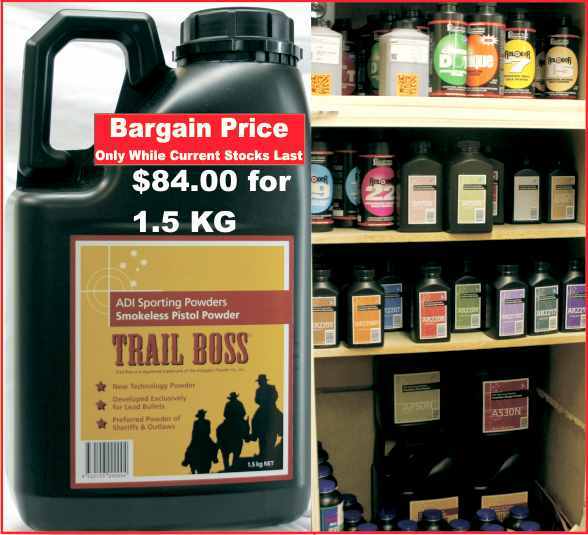 The Number One Australian Wholesaler thought that they could go back to their monopoly, but as we know in life we can never go back only onwards. Every other wholesaler should by now realise that even if they have had an agency for thirty or forty years that this Number One Australian Wholesaler who wants to be the only Australian Wholesaler will be working on their manufacturer or supplier to give them the sole agency, as they say they are the biggest and the best. We used to have two Australian agents for Savage Arms, now there are one, we used to have two Australian agents for Leupold now there are one, we used to have two agents for Ruger and now there are one. Its like Ten Little Indians, you used to have Ten Local Gun Shops and now there are one. P.S. 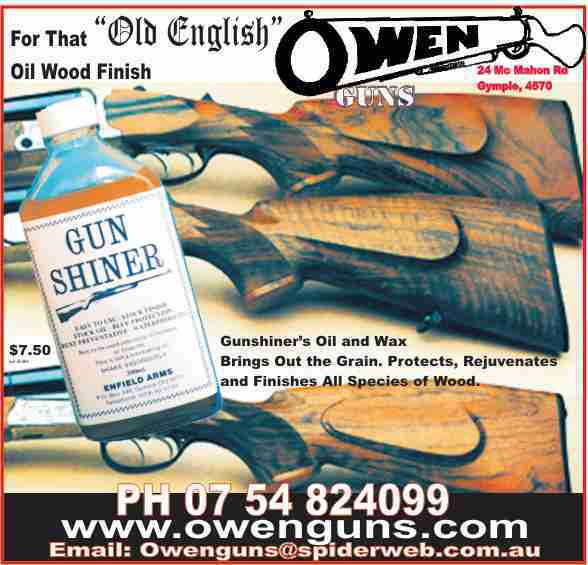 Owen Guns does not deal with the largest Number One monopolistic Australian Wholesaler, all its products are obtained direct or from other Australian Importers. To subscribe to this newsletter just click the ‘Reply’ button on top tool bar, then click ‘Send’.